This is the website of Rabbi Jonathan Wittenberg, Rabbi of New North London Synagogue and Senior Rabbi of Masorti Judaism. Since then he has worked as rabbi of the New North London Synagogue and has taken a leading role in the development of the Masorti Movement for traditional non-fundamentalist Judaism in England. In 2008 he was appointed Senior Rabbi of Masorti Judaism in the UK. He is a President of the Council of Christians and Jews and a member of the Council of Imams and Rabbis. He is a co-founder of Eco-Synagogue and deeply engaged in environmental issues. He is closely involved in supporting refugees. Further interests include pastoral work, hospice care, and literature, especially poetry. He teaches and speaks widely, including on Radio 4’s Prayer for the Day. Jonathan is married to Nicky Solomon; they have three children and a dog. He loves plants, animals, people, and woodland and mountain walks. 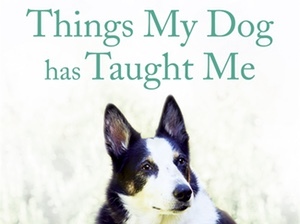 A dog’s guide to life – how to be a kinder, compassionate, more mindful and wiser human. Anyone who has ever fallen hopelessly in love with a dog will know dogs have the capacity to love us back unconditionally, welcome us home with unbridled excitement, forgive us endlessly for our impatience, comfort us when we’re feeling low – and then play games with wholehearted contentment – bringing endless joy to our lives. Dogs’ sheer zest for embracing life in all its fullness is something we humans can only marvel at. But can our dogs teach us to approach life in this full, technicolour way too? How to love and care for one another with unconditional acceptance; how to be fully present in someone’s company; how to be more mindful of the beauty of the natural world around us; how to comfort each other when we’re grieving or afraid; and, how to let excitement and joy bubble over in our hearts. Dogs do all these things instinctively and more naturally than their human friends – yet they love us just the same. And in this charming and entertaining story of his beloved canine companion, Jonathan Wittenberg shares with dog lovers everwhere his inability to resist the big, brown-eyed look which says, ‘I’ll melt your heart if you even think of going out without me’, to the security he feels on a twenty-mile trek across the bleak Scottish Highlands with not a soul for a friend but his collie – and everything else he’s learned along the way. 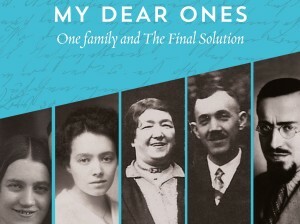 A family’s story of human tenacity, faith and a race for survival in the face of unspeakable horror and cruelty perpetrated by the Nazi regime against the Jewish people. On a burning June day in Jerusalem, Jonathan, now a rabbi, and his family, bury his aunt Steffi in the Jewish cemetery on the Mount of Olives. Afterwards, Jonathan discovers a plain linen bag, nestled for years in a suitcase on her balcony, which delves him into his family history. Through the war-time correspondence of his great-grandmother Regina, his great aunts and uncles Sophie, Trude and Alfred, Jonathan weaves together the strands of an ancient rabbinical family with the history of Europe during the Second World War. to meet many people along the way. 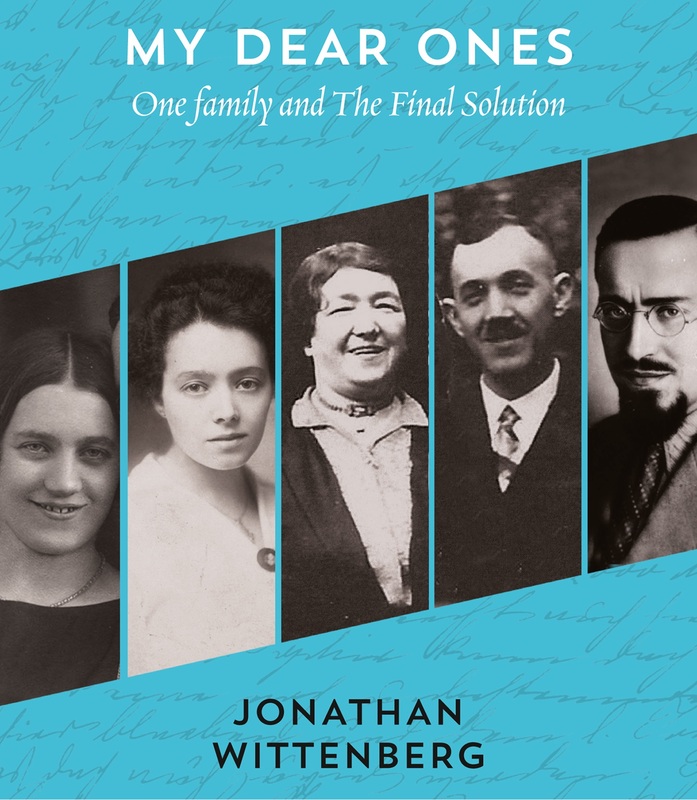 Readers of Jonathan Wittenberg’s other books already know the humane, insightful and often profound observations and thoughts that preoccupy him. Walking with the Light: From Frankfurt to Finchley will both delight and stimulate a whole new audience. Few religious writers can combine the humour and incidence of walking across northern Europe with cogent arguments for moral justice, a process perhaps to accept Europe’s horrific past and show why a belief that tolerance and true understanding of the past is the only way to improve the future. The problems, responsibilities and, ultimately, the meaning of our lives have long been concerns of philosophers, poets, artists – indeed all thinkers, whether their religion informs their opinion or their disbelief challenges conventional wisdom. Jonathan Wittenberg writes from the Front Line. A busy local rabbi in North London, he shares the human dilemmas, tragedies, and joys which fill the passing days we all share until the inevitable end of our human existence. And in this, his second book of pastoral writings, Wittenberg has chosen to use his own life and experience as the template for a learned, and profound, meditation on just how we may make sense of our lives and those we love. Those readers who know his work or hear him on Radio 4 will already appreciate Rabbi Wittenberg’s gift of communicating at all levels and know of his wide and compassionate knowledge. New readers will have that joy in store. A rigorous and compassionate approach to tradition, innovation and change is notable in this searching and lyrical celebration of the Jewish faith. “For years, Rabbi Jonathan Wittenberg has been regaling the children of New North London Synagogue with his tales of Shmendrick the mouse and his friend, Croc. Now, others can enjoy the antics of the chocolate-loving rodent, with the arrival of Shmendrick and the Croc (Masorti Publications, £5.99), in which our hero takes us though the Jewish year and Jewish life, searching for meaning. from a good friend of Wittenberg’s, while he was living in Jerusalem and, since then, Shmendrick “has always been around”. A booklet of prayers, psalms and images, compiled to give the reader company during periods of illness and recovery, and to lead the reader to his or her own reflections. the order of the day and week, with prayers for specific situations and psalms at the end. There are far more than four, or forty, questions that people ask about Pesach. This book is a response to some of them, from the practical—“Can I use my pots over Pesach or do I have to douse them in hot water?”—to the spiritual issues raised by the Festival of Freedom. It is intended to be a companion in those awful moments when the slavery of the preparation for Pesach seems overwhelming, and when one feels one will never know enough to lead one’s own seder.